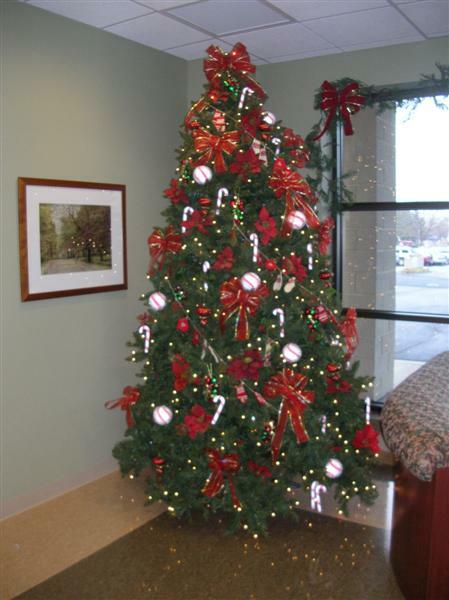 We are experts ready to decorate your office or lobby for the holidays using wreaths, garlands, trees, and poinsettias. Let us provide holiday floral arrangements for your reception area or design your company Christmas party centerpieces. Our displays have been featured in malls, atriums, hotels, and lobbies of all sizes. Winter, Spring, Summer, and Fall can all be showcased using live and ‘faux’ or lifelike artificial plants, flowers, and trees. Numerous props and decorations can be incorporated to complete the look. Special Valentines and Easter presentations have also been highlighted. Beginning in mid-November, our ‘holiday elves’ make the rounds of many businesses including hospitals, schools, hotels, offices and more to assemble Christmas decorations for all to enjoy. Santa scenes with reindeer, sugar plum fairies, giant candy canes and mounds of wrapped presents incorporate with the winter season. Oftentimes we utilize existing decorations and spruce them up with new accents, keeping your budget in line and saving you money. We assemble and ‘fluff’ your Christmas items creating new themes using live or artificial evergreens, garlands, lights, decorations, with ribbons & bows as needed, to create a unique design sure to please all.